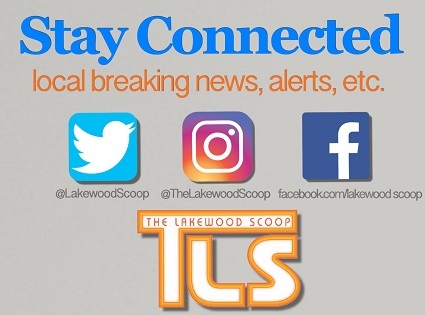 The Scoop recently first reported about the bringing of bikes and scooters to Lakewood which could be rented by the hour. The idea of introducing this new mode of transportation is to help relieve the severe congestion that grips Lakewood day in and day out. The idea, while novel, is unlikely to alleviate any of Lakewood’s traffic woes, and would rather cause us some other major headaches, specifically in the safety aspect of transportation. I spent several days in downtown San Diego a few weeks back where Bird and Lime, the upstart company that owns thousands of these rentable scooters, maintains a large presence. On many corners you will find a line of scooters waiting to be rented by someone looking for a faster commute somewhere, or, as is more common, a teenager wanting to burn some time by rolling around the city for a while. Thinking that such a scooter rental business might flourish in Lakewood and cities such as New York, I asked a San Diego local what impact the scooters have had on the city’s congestion and infrastructure. He told me that it hasn’t made much of a difference. The scooters are rented mostly by teens and tourists who are trying to capture a feel of the West Coast culture, even though the actual residents barely make use of them at all. Bird and Lime’s success in San Diego, Los Angeles, and San Francisco is also partially due to better city planning in those cities as opposed to Lakewood and New York. West Coast cities have far more open areas and pedestrian paths than do towns like Lakewood and cities like New York, where buildings, people, and cars are so densely packed in. 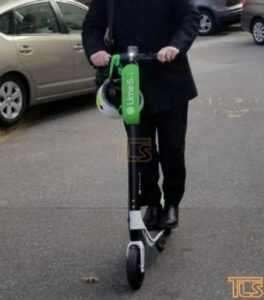 There simply isn’t room on our side of the United States for scooters to truly take off. Even if these scooters or bikes would, by some miracle, become popular in Lakewood, their popularity would pose its own risks. Lakewood is already a hazardous place to drive. There’s a reason people have bumper stickers that say ‘Pray for me. I drive in Lakewood’. It’s cute, but it’s not funny, because it really is true. Commutes in Lakewood can be quite an adventure as it is. Do we really want to start introducing tiny motorized vehicles, which will be darting around already stressed drivers, to Lakewood’s roads? The idea seems absurd. 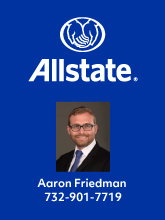 Although in theory, I understand the palatability of bringing such a business to Lakewood, because on paper it makes sense, the bottom line is that in reality it won’t work. Perhaps in a year or two I’ll be eating my words, but I doubt it. It’s a great idea – in theory. We can’t live in theory; it’s usually best to stick to reality. So, while the idea is well-intentioned, as far as actually using it as a way of reducing congestion, I have to say, just, no. There are 8 Comments to "Opinion: Just, No | Avi Gutfreund"
We don’t need to bring scooters here, for a very reasonable price you can purchase your own commuter device. Let’s bring bikes back. I agree. A few months ago my wife and I sold our second car and I bought a bike instead. I now bike to work every day (it’s a 10 min ride). The money that I save monthly is really helpful (car, gas, insurance), and the effect that the exercise has on my day is incredible. Its crazy how much of a mood changer 20 min of biking is. When I saw that proposal I literally thought it was a Rosh chodesh Adar joke! If it’s a real thing then it’s even funnier! Imagine the sight…. Did not the idea was to stop the hiching, many teens have no way to get to school so they hich, this idea was to give teens a way to get around town. If they ride on the sidewalks it will be a menace to pedestrians, if they ride in the street it will be hazardous for the scooterists and drivers alike. Would they be adding scooter lanes on the streets, then? Push more bus runs. That’s the smartest- make public transportation busses the norm! Make it affordable for boys .50 cents. No more hitchhikers!